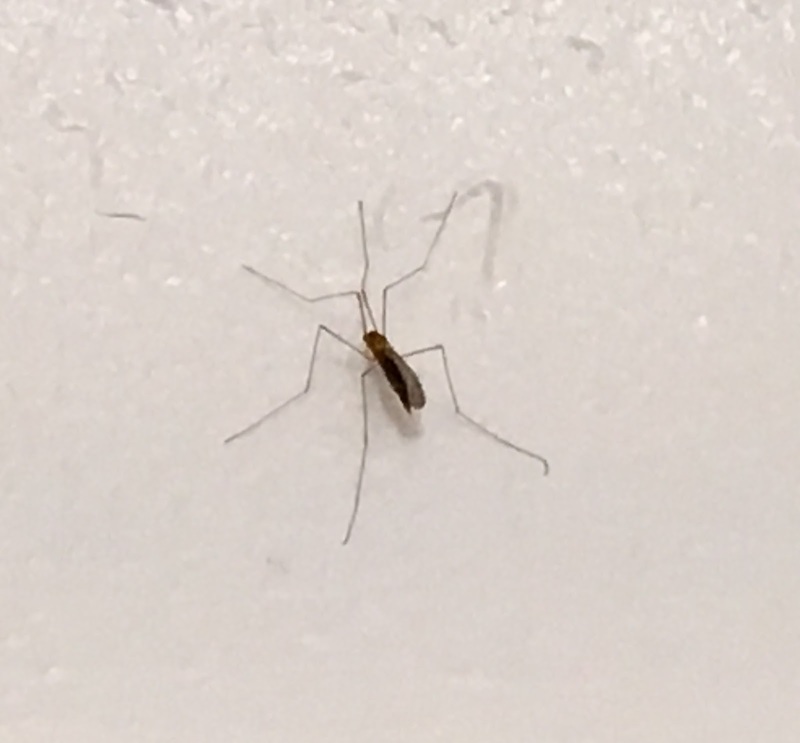 People have been finding “large mosquitoes” in their homes this month. Fortunately, they aren’t actually mosquitoes but a related insect know as a crane fly. Crane flies are common insects in Minnesota. You can recognize them from their slender brown or gray bodies and long, slender legs. Most crane flies range in size from 3/8 to 1 ½ inches long. Entomologists look for a ‘V’ shaped suture on the thorax to help identify crane flies. Crane fly found indoors in author's home. associated with moist, damp environments with a lot of vegetation. Larvae commonly develop in streams or in moist soil, often feeding on organic matter (some aquatic larvae are predaceous). Despite looking like mosquitoes, crane flies do not bite. They usually live for only a few days and typically don’t even feed. However, they do startle people when they appear indoors in the middle of winter. Where do they come from? In most cases, it is likely that the source of crane flies found indoors can be traced back to houseplants that were outside at some point during the summer. Female crane flies laid eggs in the soil and the larvae finished their development indoors and emerged as adults. There is not any special action that needs to be taken when these harmless insects are found indoors; physical removal is the only necessary control. This is really good information. I live in Minnesota and I have seen crane flies before but I don't know it named. Thank for share with us !